You have made it through the tumultuous times of yesterday. That is proof you are strong and resilient. Your scars are the stories of the triumphant battles you made it through; you survived. 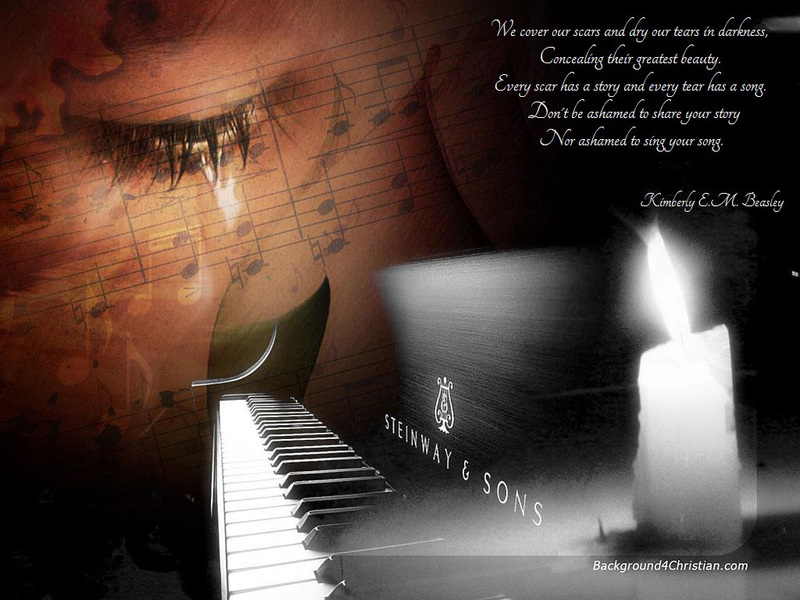 Your tears are the lyrics to your soul’s song. Never be ashamed of their flow. Lyrics so complex only the Divine’s ear can interpret. God is listening ever so intently to the melody of every well, roll, drip and drop. Take peace and have solace in knowing that you are an over-comer; you’re never alone and there is a greater plan which includes you. Your life is invaluable…Never be ashamed of its opus! Be Encouraged…Be Blessed…Be Enriched…Be Authentically You! KEEP ON ENCOURAGING & INSPIRING MY BEAUTIFUL ANGEL COUSIN LOVE LOVE YOU!!!! What’s The Matter With The World? Hunny Child on What Are You Saying? bestdatingsitesnow.c… on What Are You Saying? education on What Are You Saying?